* Simple, effective, and quick. All the ideas you'll ever need to successfully raise the funds you require! Is to read through all the ideas, taking note of the ones that catch your eye. Then make sure you click through to their full info pages to get tips and ideas on how to run them effectively. ...To comment on any of the ideas in the comment box down below, with questions, tips, and additional ideas. AND don't be selfish! Make sure you share this AWESOME page with all your friends on Facebook, Twitter, and Pinterest, etc. This list of 101 fundraising ideas starts off with the 6 ideas that I recommend most highly. Then it breaks down into general sections to help you wade through. Setup an Online Donation Page (Go here to setup for FREE)! You use your event participants to fundraise for you, increasing your fundraising reach exponentially. Participants can take pledge amounts for each unit of challenge completed. For example, $2 for every Mile completed in a Walkathon. If a participant gets 25 people to pledge, and walks 10 Miles, that's $500 raised by one person!!! There are so many different and fun events and activities that you can apply a pledge fundraiser to. Check out some of them further below. With the right software, pledges can be easily made and handled online to make the process really simple and effective! Check out these Pledge and Walkathon resources for more great info on using this fundraising method successfully! Golf is an exceptionally popular sport which means that it's always relatively easy to find participants and sponsors. And if you can find participants and sponsors you're on your way to a highly successful fundraiser! Be sure to read the linked article for some excellent ideas for fundraising at a Golf Day! Selling branded Apparel not only raises funds for your cause, but also markets and promotes it. With so many options and ways to fundraise with this idea, you really should be looking into it. You can also link idea 1 up with this fundraiser through a T Shirt Crowdfunding Campaign. It's an unusual, yet brilliant, fundraising idea you should definitely check out. This is more of a general ongoing strategy, rather than a specific fundraising idea, but still belongs in this list of 101 fundraising ideas. From mail campaigns, online campaigns, major donor solicitation, to recurring monthly giving, etc. - having a solid donor and donor retention program/strategy is incredibly important for most Charities and Nonprofit organizations. It's the fundamental basic of fundraising! Check out this section of the Charity Ideas page for some great resources to learn successful Donor Solicitation and Retention. A 50/50 Raffle is quite simply the simplest fundraising idea you can do. No need to find or buy prizes, stock and sell products, or find sponsors. Just sell raffle tickets and split the proceeds 50/50 with the raffle winner/s. Return to the Top of this list of 101 Fundraising Ideas. Find/buy prizes, sell raffle tickets, and create some excitement about the drawing. Simple. A form of the 50/50 raffle. Sell 100 exclusive and high priced tickets with half the proceeds going to one or multiple winners. A reverse draw is very effective with this fundraiser! With a mixture of donated bottles of wine that have been wrapped up, let people buy Wine Pull tickets where they can then pull a random bottle from the selection. A high end raffle idea that can raise BIG funds. You must sell many tickets with this one though! A mixture between a raffle and an auction. 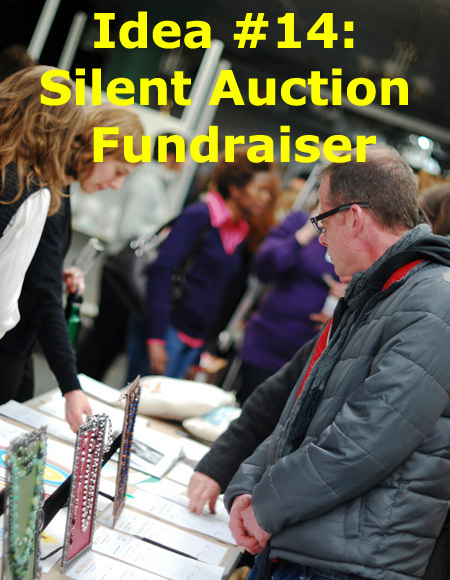 Sell bidding tickets that people use to bid on different items by placing them in the raffle bowl, next to the item. At the end of the auction, a ticket is drawn from each bowl to see who wins the item. There are many MANY benefits to running or starting your Auction online. Definitely consider it! A live auction that doesn't have an auctioneer and loud bidding. People write their bids on a list next to the item they want. The highest bid on the paper at closing of the auction, wins the item. Simple, but very successful. Find some bachelors to volunteer for auctioning off (for a date or dinner) at your event. Interestingly a popular and successful fundraiser. Check it out in the Almanac of Fundraising Ideas. Choose the winning raffle ticket by having a creative method for dropping a heap of numbered golf balls over a green/hole. The ball/s that go in the hole or are nearest to the pin, win. One of the cheapest and most effective ways of communicating, connecting, and soliciting donations from supporters and donors. Talking about effectiveness, mobile app push notification open rates are at 97% compared to emails 4%. That is huge power there. And with multiple fundraising benefits like app sponsorships/advertising, donation ask push messages, event promotion, and product promotion, this fundraising method holds huge potential. The tough part comes in though, with getting people to download your app. But regardless, it's definitely something worth looking into. More info on this fundraising method coming soon. Sell advertising or Site Sponsorships on your organizational website. Or use a Contextual Advertising network like Google Adsense. Promote related third party products and services (or ones that are popular with your supporters) online through your website, social media, etc. and receive commissions for sales and leads made. Develop an informational website that drives free traffic from the search engines and generates funds through multiple methods: Advertising, affiliates, products sales, site sponsors, and donations, etc. There are many Online Store models that you can use to sell fundraising products, etc. and raise great funds. Check out this online fundraising store that all USA/Canadian fundraisers can use for FREE. Keeping with Online Stores, an online apparel fundraising store is a absolute must for most causes and organizations. And perfect for Schools! Simply earn money by taking online surveys and completing other market research actions for companies, like surfing and reviewing online stores. You will need the help of an Online Get Paid Guide though. Promote your cause, events, fundraising products, latest news, and take donations through a customized and downloadable Web Browser Toolbar. A super fun entertainment style fundraising dinner. There a many ways of doing this fun foodies fundraiser. Read the article to find out more. This idea accompanies the Cookbook Fundraiser and is very similar to a food tasting evening, but is focused around the recipes in the Cookbook. It's time to dodge, duck, dip, dive, and dodge. Have some fun with this cool sporting event. I personally attend a Touch Rugby tournament fundraiser every year in Eston that is always a huge success. Find a sport that your supporters/community love and you can have a successful fundraiser. 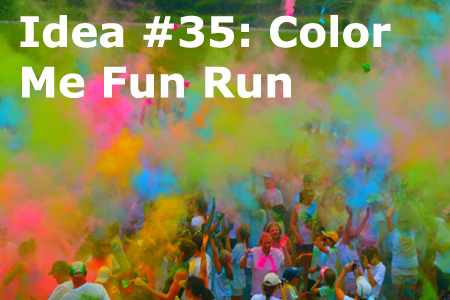 A combination of a Fun Run, a Walkathon, and creativeness... This is a very cool and highly popular event! More info on this idea coming soon. A rather random event for fundraising, but in the right community, with the right supporters or marketing reach, it can be very successful. A well attended fundraiser that provides quite a few ways of raising funds. Do this idea properly and you'll raise big funds! Another very popular fundraising event/evening! Subscribe to the free Fundraiser Buzz newsletter to get a free copy of the Trivia Fundraiser Guide. Get the frying pans on and invite the community around for a sociable morning of Pancakes and networking. A highly recommended fundraising event! 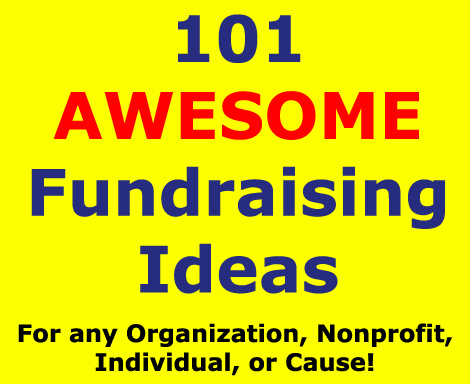 And another fundraiser in this 101 fundraising ideas list that needs highlighting!!! It's a well attended type of event and holds HUGE funding potential for your cause. Read the article for some examples of the fundraising potential it holds, and great tips on running one successfully yourself. Also read through these awesome Walkathon training resources. Take pledges for hours/minutes of dancing done. Take pledges for reading sessions completed. Perfect for schools. A simple twist on your ordinary Walkathon. Get the dog lovers in your community involved and have some fun with the pets! A pledge style fundraiser that teachers will absolutely love. Take sponsorships and pledges for mins spent in silence! A fundraiser that I've personally had good success with. Setup a crazy challenge or enter into a cycle race, and seek donations or pledges for your cause. For all USA and Canadian fundraisers I'd highly recommend you grab this FREE fundraising product guide to see what products are currently popular and profitable. 8 out of 10 houses burn candles so this popular product provides some great potential. A simple and quick fundraising product to sell. It's one of the most popular products being used! A cool, environmentally friendly product, that is very popular at Schools. Smencils are simply scented pencils that have been made from recycled newspaper. A very cool fundraiser for the summer! This is yet another fundraiser that markets your cause or organization while you raise funds. A very popular fundraising item. Either through Pizza sales or Pizza Discount Card sales. Most people love coffee so it's a great product to sell for fundraising. It's time to get healthy with your fundraisers! Jamba Juice provides a great opportunity to raise great funds and promote healthy living. There are four ways of raising funds with Krispy Kreme Doughnuts. Check it out. A difficult idea to handle but once you've got a system setup and you're moving, it can be very lucrative. Check out this popular Pretzel Fundraising program with up to 50% profits! I know you're thinking, "Really?! Does this fundraiser belong on this AWESOME 101 fundraising ideas list?" But think about it, everyone needs and uses toilet paper every month - they have to buy it anyway - making it perfect for a fundraising program. Another simple product that everyone buys and that's also supporting Green thinking and recycling! Entrants buy small plastic ducks that are released into a river for chance and the rapids to lead the winner/s over the line. One of my favorite fundraisers from this 101 fundraising ideas list. A high profile individual/celebrity (or a few) volunteer to be jailed in view of the public until the fundraising goal (bail) amount is raised. Have a few different methods for people to donate and generate big interest by promoting it creatively! Put together fundraising teams (classes) that compete to see who can collect the most coins in a set time (eg. 2 weeks). Have great prizes and continually update team progresses to increase competitiveness and motivate your fundraisers. After your Penny War you can get people to guess, for a fee and to win a prize, how many coins are in one of the bottles. Or use any collection of items, eg: Balloons in car, golf tees in bowl, or balls in basket, etc. 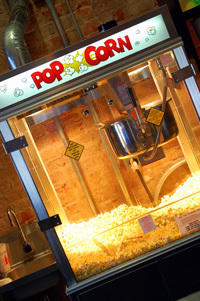 Donation boxes have been used successfully for years. You'll find some great tips on using them effectively in this article. According to Joe Waters, a Cause Marketing (fundraising with businesses) expert, this is the most lucrative fundraising strategy with businesses. I recommend taking a look! A commonly recommended fundraising strategy. Get it right and you'll be smiling!!! Sell real bricks/plaques to go on or in a building. Or sell online advertising brick/blocks on a Site Sponsor wall. You'll need some high profile volunteers. Then sell votes to decide which volunteer receives the funny "torture", like a pie in the face. Or sell votes to decide on what funny "torture" to give. Be creative with this! Sell lengths of tape to people/students who then stick a high profile volunteer to the wall. Perfect for the principle of a school to do. Amongst all the 101 fundraising ideas, this is probably the most obscure, yet interesting, fundraiser! A fun competition where teams try to charm as many worms to the surface with a Pitch Fork inside their designated plot on a field. Move a flock of Flamingos around the neighborhood, where people have to pay a fee to have them flock-on to another garden. Or a bigger fee to have them move and land in a specific friends garden. Offer volunteers up for rent to do garden or household tasks in your community. Same as the above idea. Rent out volunteers to do babysitting and raise funds for your cause. Everyone loves coming to School or Work in casual wear on the odd occasion. So put out a challenge for students to raise a certain amount (eg. $20 a person) that allows them to come to school dressed casually. Go green and collect recyclable items, like inkjets or mobile devices, that you then hand in to recycling factories for cash. Organizations are actually raising some big funds with this idea! Scratch Cards are a phenomenal way of soliciting small donations from people and then rewarding them for their donations with discount coupons. Sell gift cards from popular stores, that you've bought for a discounted price, to supporters and members, etc. Most often done through an Online Fundraising Store. Sponsors commit to quitting a habit, like smoking or drinking, for a period of time and donate the money they save to your cause. Also get them to take sponsorship donations from others for their challenge. Get a group of volunteers to bag groceries in exchange for donations at a local supermarket. 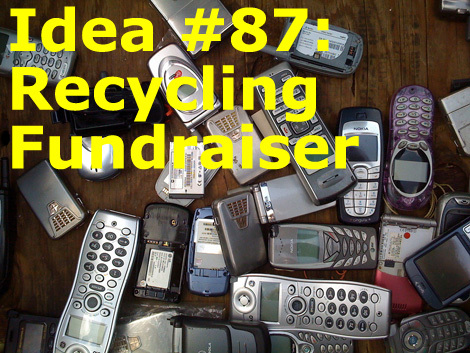 One of the most creative fundraisers from these 101 fundraising ideas. Create a customized Monopoly board that you sell advertising on, and then sell to your members, supporters, and community. Create an awesome custom Cookbook and raise funds through advertising in the book and sales. Same idea as above but with photos of your organization and its members. Check out the Photo Fundraisers page for more ideas on this. Sell temporary tattoos at events, carnivals, fetes, and markets. And we finish off with another one of the best 101 fundraising ideas. Get creative with it and raise some great cash! The end of this awesome list of 101 fundraising ideas. I hope you've found great value from it! Remember not to be selfish... Make sure you share this page with everyone you know. Use the floating share block on the left of the page or the block at the bottom to share. I wish you all the best with your fundraising endeavors!! !